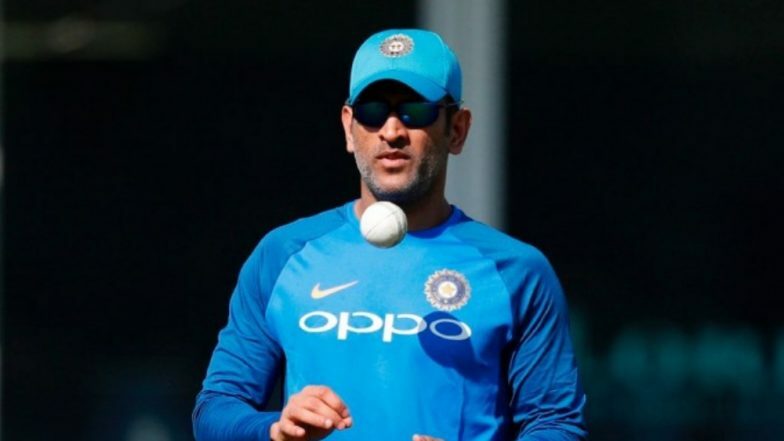 New Delhi, March 21: Mahendra Singh Dhoni gives in very little with his body language and that's the reason he feels that people never asked him how he coped with all the baseless allegations levelled at him when 2013 IPL spot-fixing scandal reared its ugly head. For Dhoni, who has always preferred to go about his job quietly even when leading the Indian team, his silence may have been misunderstood. "The problem when people think you are very strong, is that more often than not, nobody comes and asks: how are you doing. It was more of how I dealt with it. I did not want to talk about it to others, at the same time it was scratching me. I don't want anything to affect my cricket. For me, cricket is the most important thing," Dhoni said on Hotstar's new documentary on CSK. What mistake did the players make, asked Mahendra Singh Dhoni, opening up on a phase of life made "most difficult and depressing" by the 2013 IPL fixing scandal. Roar of The Lion: CSK Skipper MS Dhoni Opens Up About IPL Fixing Scandal, Says, ‘Match-Fixing the Hardest Thing I Had to Deal With in My Career’. The two-time World Cup winning captain broke his silence in a docudrama aptly titled 'Roar of the Lion', which focuses on the scandal that rocked Indian cricket and the ensuing fairy tale comeback by Chennai Super Kings following a two-year suspension for its management's role in spot-fixing. "2013 was the most difficult phase in my life, I was never depressed as much as I was then. The closest was 2007 World Cup when we lost in the group stages. But all said and done, 2007 happened because we did not play good cricket. "We did deserve the punishment but the only thing is the quantum of the punishment. Finally we got to know that CSK will be banned for two years. There was a mixed feeling that time. Because you take a lot of things personally and, as a captain, question what did the team do wrong," Dhoni stated. "Yes there was mistake from our side (the franchise) but were the players involved in this? What mistake did we, as players, do to go through all of that?" Recalling the torrid time when insinuations and allegations flew thick and fast, Dhoni said fixing a match requires the involvement of the majority of players. "My name also came up in talks of fixing. They started showcasing in the media or social media as if the team was involved, I was involved. Is it possible (in cricket)? Yes it is possible, anyone can do spot-fixing. Umpires can do that, batsmen can, bowlers can... but match-fixing needs the involvement of the majority of the players." In a trailer of the documentary recently, Dhoni had called match-fixing a bigger crime than murder. "Whatever I am today, whatever I have achieved is because of cricket. So the biggest crime that I can commit personally is not murder. It's actually match fixing because it doesn't get restricted to me. If I'm involved in such a thing, it has a bigger impact. "If people think a match is fixed because the outcome of a match is extraordinary, then people lose their faith in cricket. I don't think in my life I would deal with something that is tougher than this," he said. Dhoni had not commented on the turmoil before this. In July 2015, Chennai Super Kings and Rajasthan Royals were suspended from the cash-rich league for two years for betting activities by their key officials Gurunath Meiyappan and Raj Kundra during the 2013 season. On his silence post the episode, Dhoni said, "What makes it even tougher is that, as the Indian captain you keep going to press conferences. There is a known line that is drawn that that was the IPL and this is the Indian cricket team." "It's not easy to keep performing at the top level when these things are on your mind. Ten years down the line, no one is going to remember what was said in a press conference but how the team did." While he agreed that then BCCI chief N Srinivasan's son-in-law Meiyappan was part of the team setup, Dhoni said, in what capacity, is open to debate. "Initially, when Guru's name came up, (we knew) he was part of the team, all said and done. But in what capacity, that is debatable. Was he the owner, the team principal, the motivator... what exactly was he? "I don't know if anyone from the franchise introduced Guru to us as the owner... we all knew him as the son-in-law." Lastly, Dhoni called his association with CSK is "like a match made on matrimonial site - an arranged marriage".